The highpoint in the Lumion users calendar is here. 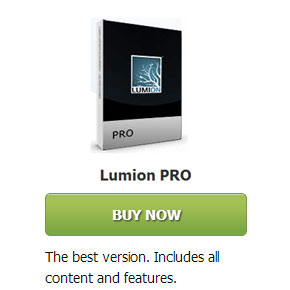 Lumion 4 has arrived! Discover the wonderful new functions and features developed for our fourth version of Lumion. “With the launch of Lumion 4.0, we’ve reached another major milestone. We feel we’ve raised the bar a notch higher in making software that enables architects, designers and other AEC professionals to visualize their creations. This year has been a great one for Lumion. Our view is that Lumion owes its success to the elusive combination of being both easy to use and a powerful visualization tool. To us at Act-3D, it’s not enough that Lumion is functional. Using Lumion shouldn’t feel like working. It needs to be a pleasure but of course it doesn’t stop there. We know our customers also value the effects, filters, speed, the ability to create large scene sizes, the intuitiveness and many other facets of Lumion. We have tried and I believe succeeded in Lumion 4.0 to take these ideas of simplicity, beauty and power to another level. Just look at the grass, the falling leaves and the text effects. It’s art and science all in one and so easy to switch on and off. These principles remain central in Lumion and that’s perhaps why it’s captured the imagination of so many architects and other construction industry professionals. We hope our customers agree that the result of our efforts will help them to transform their businesses by providing a tool which conveys their creativity and wins more projects! Alongside all the wonderful new features, the Lumion development team has incorporated one more bonus function, not yet announced, but which we know many architects are going to love! Check out the new two-points perspective effect and see what you can do with it! 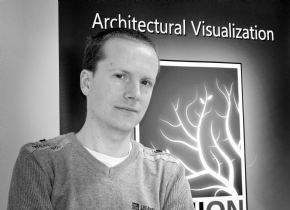 Our new partner in the Nordics, covering Lumion sales in Sweden, Denmark, Norway and Finland. Be sure to contact their Lumion trained staff for a presentation. We are excited to announce our new partner in the UK and Ireland. With all their BIM experience & knowledge, they will surely find Lumion a welcome part of the BIM toolbox. 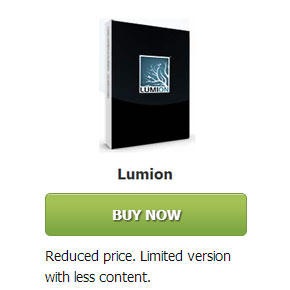 Upgrade To Lumion 4 Now!